Starting Saturday February 9th 2019 (ET), all NAK Tac events will be Tuesdays at 8:00 pm ET, and Saturdays at 8:00 pm ET. The alternating Friday missions have been removed from the schedule. We are having issues with scheduling a Steam Group event, so events will be posted here until that is resolved. All of the after event photos have been updated. You can view the photos in the NAK Tac forum. 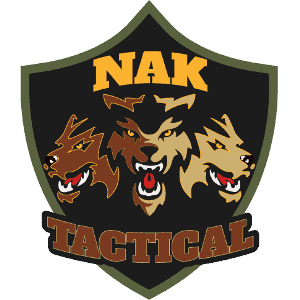 NAK Tac members are welcome to post to the forum, including photos or links to videos of NAK Tac events. The NAK Tac collection has been updated; Now titled NAK Tac 2019. You will want to download the new mods before the event on January 5th 2019. The collection of optional mods, NAK Tac 2019 – Optional has also been updated. This collection contains mods that will be allowed but are not required. This collection contains mods like, Enhanced Movement, JSRS, Blastcore, ShackTac and more. Feel free to experiment with the mods. Lastly, a collection maps aptly titled NAK Tac Map Pack, has been created for events in which a new map is required. It is not necessary to download all of the mods in the map collection, only a single map will be needed at one time, we will announce prior to an event if a specific map is needed. We are accepting applications for new members to NAK Tac. It is highly recommended that you have a referral from an existing member but it is not required. To apply for NAK Tac, complete the NAK Tac application. If you considered applying for NAK Tac in the past, but did not because you were not able to attend the required number of event, or you did not because you did not like having to play a specific role for 6 months at a time, consider applying now. At this point the NAK Tac event are run similar to any other Zeus event, except it is limited to NAK Tac members, so you know the players are there to play a truly cooperative mission, and second we utilize ACE3 and TFAR to enhance the Arma 3 realism. NAK Tac has a training document for any player that may need help is one of the areas of tactical play. This document is not all encompassing, but it is intended to make sure all players are at the same level, in regard to keys areas of team based play. The full document can be accessed here. If you find corrections that need to be made you can access the source document and enter comments. Anyone that finds an error in the content will receive 5 hours towards their next rank. Basics of squad based cooperative play. Your role as a Rifleman. Buddy teams and your responsibilities to your buddy. A complete understanding of fire discipline. Fireteam formations and player movement. Basic Medical treatment and wound management. Communication with other members of your Fireteam and Squad. Map topology and grid coordinates.